Continuing my short series on stylish UK Holiday Cottages today we’re looking at Wales. As a child I spend many a happy family break in South and Mid Wales and in recent years have taken my children back there to relive some of those wonderful memories. My husband has introduced us to the delights of North Wales too and our eldest daughter is looking forward to her school residential to Snowdon next year. Now if you fancy something a little different that maybe isn’t near the coast how about this Welsh property near Builth Wells. 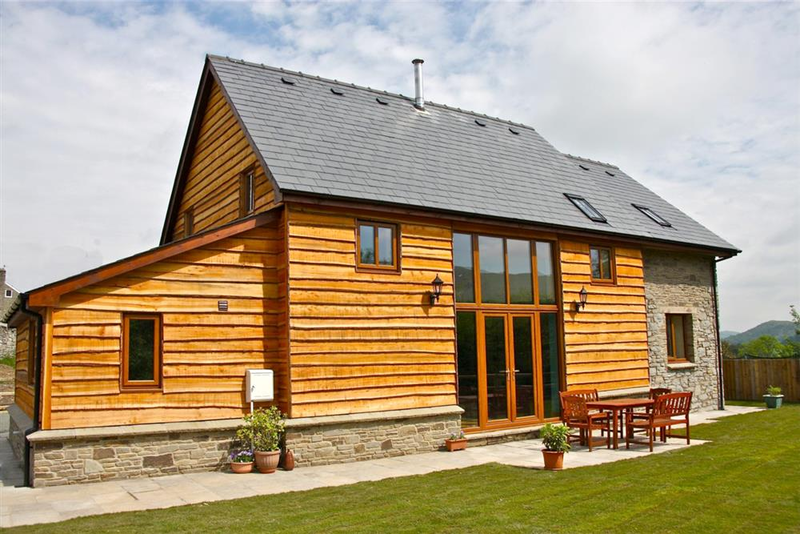 Dan yr Eglwys is a carbon neutral barn conversion sleeps 8 over 4 bedrooms so is ideal for the larger family or maybe a group of friends sharing. One of the downstairs bedrooms has wheelchair access and a wet room too. Set near the Brecon Beacons not far from where I grew up this lovely building has been lovingly restored and beautifully decorated throughout. With large enclosed lawned gardens and views to the surrounding farmland and hills, visitors are welcome to take an interest in farming activities and trout fishing. Locations like this certainly take you away from the hustle and bustle of daily, city life and do everything they can to recharge your batteries. If walking is your thing then you’ll have no end of opportunities to explore the Brecon Beacons and Elan Valley, enjoying breathtaking countryside and stunning views. 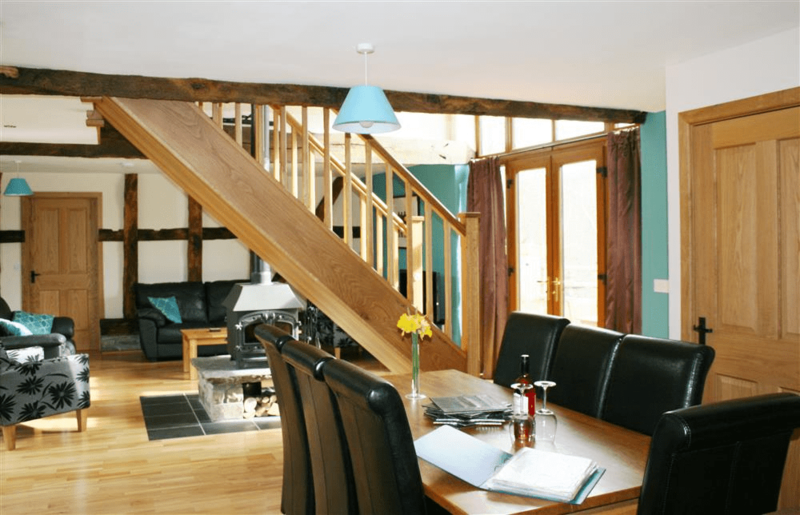 The property itself is renovated to a very high standard and even has an original beam dating back to 1784. With 2 en suite shower rooms, the wet room and the family bathroom, comfort and convenience has certainly been taken into consideration here. The excellent fitted kitchen with quarry floor tiles, underfloor heating throughout and of course, the delightful wood burning stove make this a fabulous property for winter holidays as well as those in the summer. With Christmas now behind us, I find this is a great time to start thinking about your holidays for the year, if you haven’t done so already. This property and lots more are available on the Wales Holiday website and I’ve been browsing myself as we quite fancy another trip to Pembrokeshire later this year. I’m impressed with the prices and styles of holiday homes that I’ve found so far. Have you started hunting for holidays yet? Are you a fan of stylish UK holiday cottages too?